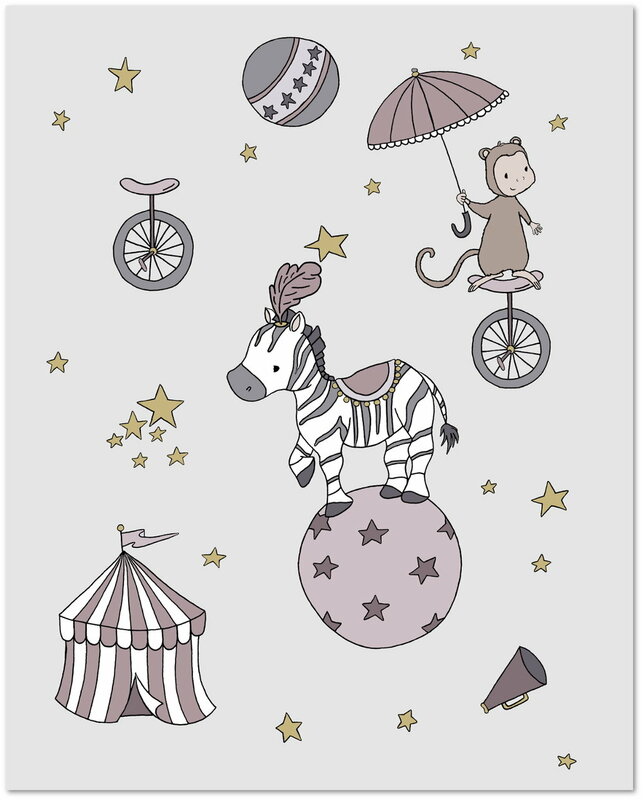 Introducing the new collection of art prints from Sweet Melody Designs - Circus Dreams! Be whisked away under the big top to see amazing feats performed by wild animals. With subtle shades of grey, mauve, and gold, these prints were created to inspire your child's imaginations and dreams. Circus Dreams is the perfect addition to your child's room. You can order the prints individually or as a set and they are available now in the shop.